VersaTube Building Systems manufactures a premium product in America with 100% U.S. sourced steel. 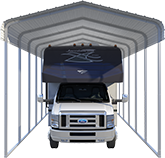 We provide superior corrosion protection by utilizing G-90 Galvanized Steel tubing with an additional triple layer clear coat finish. This in-line process, referred to as 'Flo-Coat' finish, consists of 3 layers of clear-coat applied to the steel tubing after it’s been milled. Triple layer clear-coat provides twice the salt spray life and twice the rust protection versus standard galvanized tubing. 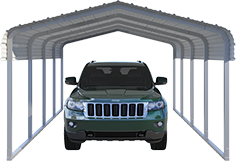 We are proud to back each frame structure with a 20 year warranty. 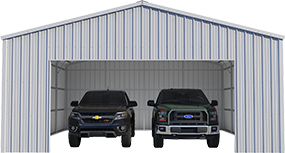 VersaTube partners with national sheet metal suppliers to provide painted steel roofing, siding and trim as part of a complete garage, building, carport or loafing shed package. Sheet metal warranties vary and are available from the manufacturing supplier. Any claims must be submitted directly to the supplier for consideration.